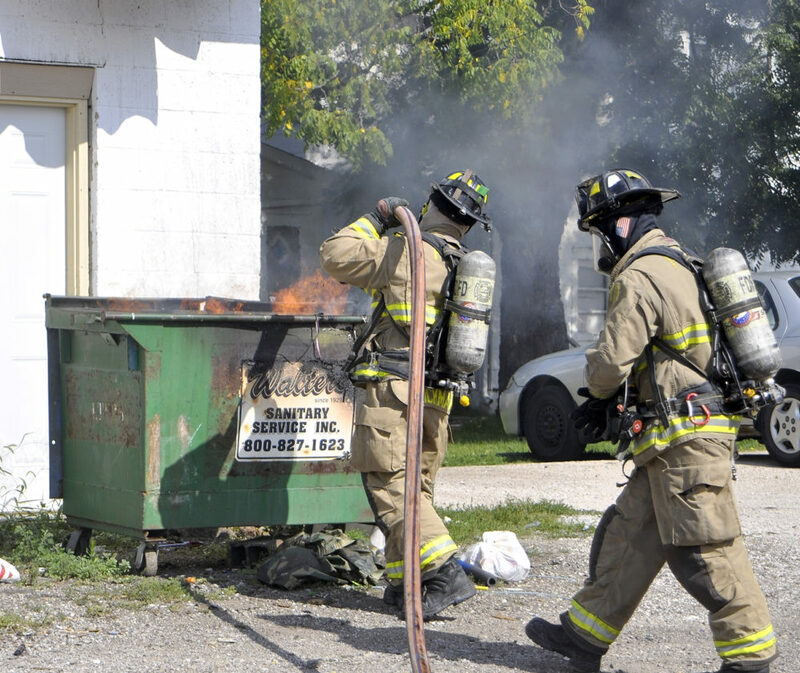 Fort Dodge firefighter Zach Rickman extinguishes a fire in a metal trash container near the intersection of Third Avenue North and North Seventh Street Friday afternoon. Fire Capt. Jeff Hill said it was a small fire that ignited the trash in the trash container. There was very minimal damage. Hill said the cause of the fire is unknown, and said it’s usually difficult to determine the cause of trash container fires.